Tagged with Eurocultura, IALCA, Italy, LAL Language Centres. 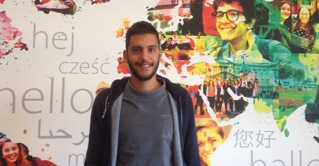 The Italian Association of Language Consultants and Agents has awarded a two week scholarship to a student from Sicily, to spend two weeks at an English language school in the UK. "We hope that other educators will be interested to cooperate"
The scholarship fund was set up in memory of a Sicilian student and the son of an IALCA member, Giulio Adelfio, to extend study opportunities to students who may not have the financial means to go abroad. The recipient of the ‘Guilio Adelfio’ scholarship is a student from Palermo in Sicily, Ferdinando, who is participating in a two week long intensive English course at LAL Torbay. The funding for accommodation and travel expenses has been provided by IALCA, with support from LAL, covering the student’s tuition. “The aim of the scholarship is to provide a student who deserves, but has not enough funds, to attend a course abroad,” said Gianluigi Rago, from education agency, Eurocultura, and spokesperson for IALCA. 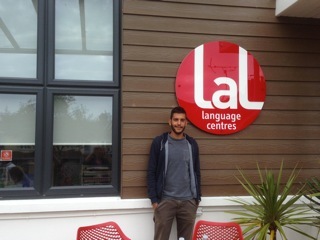 Ferdinando started his course at LAL Torbay this week. Rago said that the organisation aims to offer the scholarship annually. “We hope that other educators will be interested to cooperate,” he said.